Home/Featured/ATTENTION! 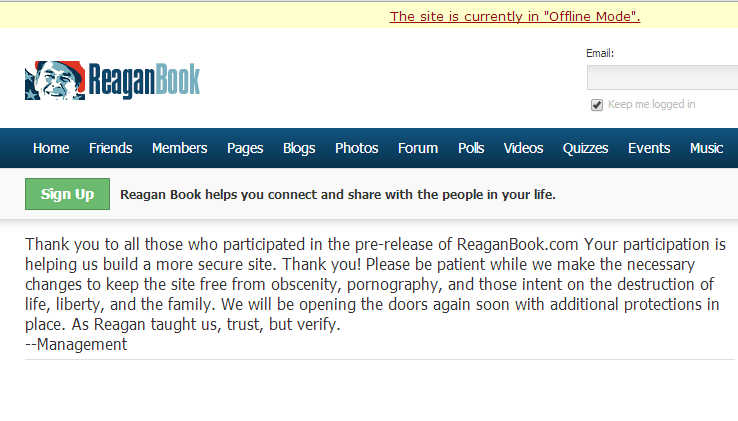 ReaganBook, The Facebook for Republic**ts Is Offline! So Much Crazy It Blew Up Its Server! ReaganBook: The Facebook for Republic**nts! Bwahahahahahahahaa!